Old Gold (US) tells the story of Eoin Miller who is doing his best to get through life without emotional entanglement of any kind. He’s working for the Mann brothers, the heads of one of the major firms running the area and has just completed a job for them when introduced. To celebrate, he goes for a drink or two in his local and is picked up by an attractive drifter of a woman, Mary, who has taken something very important from her boyfriend and with whom Eoin’s about to spend the night. He wakes up to find that the woman is dead and that someone has gone to a lot of effort to make it look like he’s the killer. Eoin’s first instinct is to listen to his dad’s advice – to get the hell out of there – based upon the fact that with his Romani blood no one is ever going to give him the benefit of the doubt. He takes to the road and eventually realises that he needs to do something other than surrender. When he returns to his house, he finds the body gone and no evidence that anything is untoward. His point of attack is to find out what happened to Mary. To track down the killer and find out how he can get out of a difficult situation. 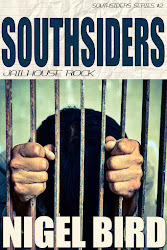 Early links lead him to a new drugs peddler on the block, a Pole who is keen to work the angles and exploit any gaps between the main two gangs in the area. He starts poking sticks in places where they’re not welcome and it’s not long before he’s in an awful lot of trouble. Add to this a missing person inquiry that the police have dropped due to the sensitive nature of the case and the fact that his estranged wife has been promoted in the force and you have a multi-layered novel to roam in. 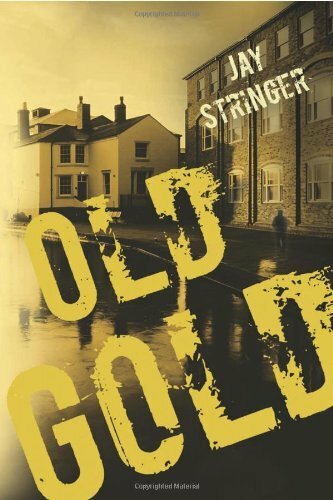 I thoroughly enjoyed Old Gold and that’s from start to finish. Eoin tells the story in the first person and that really works well. He’s a pleasure to get to know – a self-destructive investigator with a real life and real problems. What I think I particularly enjoyed is the subtlety of the writing. Nothing is overblown. Everything comes in the right measure. The pace is terrific, constantly building yet never rushing to get to the end. The hoods are very well-formed, but are far from being caricatures. The hard-boiled swipes are there, but are more like body-softening jabs than knockout punches. The Midlands works superbly as a backdrop, as a place that is at once familiar and new. Nothing is crammed into the plot for its own sake – everything, including the denouement, works effortlessly. Eoin is complex and interesting, but his facets are introduced and explored gradually rather than in one big bang. There’s also a gentle exploration of a range of issues relating to gender, race, inequality and politics that provide plenty of food for thought (the label I’ve seen given to the book is ‘social pulp’ and that goes some way to covering it). Above all this is fine fiction, entertaining and thrilling. It’s a book I didn’t want to put down for too long once I’d started and I’ll certainly be reading more in the series. Very good indeed. A little preface before the review. First of all, slightly premature congratulations to Preston North End on their promotion. It's 4-0 with ten minutes to go - I think we're safe. Great job and I hope any friends who made it down for the game are having a thoroughly good time - have a couple for me. Another nice thing, my collection With Love And Squalor (US) is free just now and for the next few days. Take a copy if you haven't already. 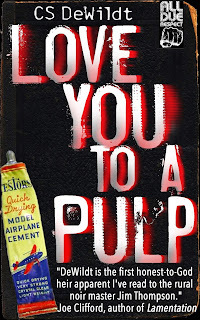 Love You To A Pulp (US) tells the story of Neil. In fact, it tells two stories about Neil. In the present, he’s a glue-sniffing investigator who is employed by the local chemist to find his daughter. He’s barely begun the case when he stumbles into difficult territory. His first port of call is a man called Hoon. After a violent interaction, it soon becomes clear that Hoon isn’t the guilty party. Things become much more complex for Neil when he finds Hoon dead in a murder that has been staged to look like a suicide. As we’ll discover, there are plenty of folk around who want that interpretation of Hoon’s death to stand. From this point on, Neil’s journey is fraught with difficulty – there’s violence and depravity in abundance and a lesser character might have given up the ghost at a much earlier stage. We find out a good deal about the formation of that character in the other strand of the novel, which comes into being through Neil’s glue-sniffing reflection. 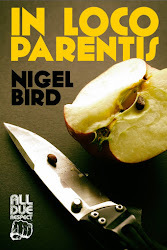 This deals with Neil’s early life and, in particular, his relationships with his father and a local girl. Neil is dragged up rather than nurtured, though there’s an odd kind of love involved in this upbringing. They work through their poverty and do anything they have to do to survive. This section is very well told and emotionally engaging and to me is the stronger section of the book as there’s a little more complexity here. There’s a lovely irony to glue inhaling – that rather than bond things together, it tends to make the life of the user fall apart. LoveYou To A Pulp may be the perfect illustration of that. Worth a look if you like your noir in its darker shades. Before my thoughts on Gone Girl, I have a few little deviations to take. 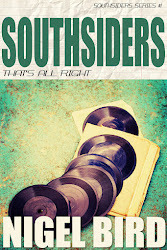 First of all, I had a story published online yesterday over at Near To The Knuckle. It’s one of the few short pieces I’ve penned in the last year and I’m delighted that it found such a good home. If you have five minutes, I’d be grateful if you went over and had a read, especially if you wanted to leave an honest appraisal in the comments section. Tangent two. A book came out last week that I had the honour of writing the introduction for. It’s called Trevor English and it’s a collection of five novellas written by the talented Pablo D’Stair. I know that if you made it to this blog that it’ll be one for you to consider. Check out a sample and see what you think – the opening pages are enough to give you a real feel for the style and the world you’ll be inhabiting if you take a chance. If you recall, the excellent This Letter To Norman Court opened live here at Sea Minor (that was a proud moment indeed – even prouder in retrospect). 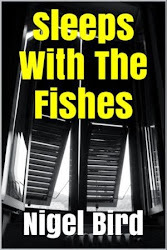 And another aside, a longer short story of mine, Sleeps With The Fishes (US), is free for Kindle today. 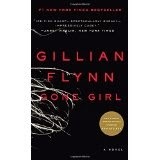 And so to Gone Girl. First of all, I wasn’t sure this would be for me. I picked it up from the bookshelf and felt the weight of the best-seller and almost returned it to the place from whence it came. Something about it made me curious, however, and my wife’s book group rated it, so I thought I’d give it a go. I entered tentatively and wasn’t sure what to expect. It’s also difficult to talk about as the plot twists and alterations are crucial to the tensions, so I’ll try and work around that if I can. What I found was a book told through the alternating voices of Nick Dunne and his wife Amy Elliott who take a chapter at a time to tell their stories. My first impression was that it wasn’t hugely exciting and that the style of writing for each character was too similar for my liking. I stuck with it, though, and found myself being intrigued by their lives. They both have interesting backgrounds and the fusion in their early days makes an engaging read. From then follows the main early strands – the aftermath of Amy’s disappearance and Amy’s diary entries reflecting upon the changes in the lives of the young couple as their relationship shifts from romantic to run-of-the-mill. It wasn’t long before I was really interested. The actual investigation mattered less than the observation of Nick’s reactions to his new world. The police who enter his life are very well formed – they have a sort of Lieutenant Columbo naivety about them as they work in ever decreasing circles around their main suspect. The writing was excellent at times and I was having a thoroughly good experience. After a while I found myself flagging again and the end of Part One came as a bit of a relief. Thankfully Part Two really took on a strong hold and I was back in the groove. It almost carried me through in a rush of page-turning. Almost. And then the ending. This faltered a little to my mind. It felt like all the twists and turns had to be explained and wrapped up neatly and in doing so the story lost some of its energy and appeal. It also lost something of the plausibility that I hadn’t really questioned in much of the build up. I’d rather have had a looser climax where more was left to my imagination. Even so, there is something brutally noir about the finish that is chillingly cold. Overall, I can see why this became such a successful book and was made into a film. I did find much of it very entertaining. I think that Gillian Flynn clearly has a talent for observations about people and relationships as well as a love of wordplay and irony, all of which she is able to express very well indeed. I’m glad I took the time and made the space for this one. I’ll not recommend it with any passion, but certainly hope I haven’t put you off – that certainly isn’t my intention. If you’re curious, take the leap. I think you’ll feel it was worth it. I’d just like to preface this review with a shout for a rather good programme that aired on the radio earlier this week. It’s called Things Fall Apart and it was put out to commemorate that fact that it’s 150 years since the birth of WB Yeats. There are some great readings (and a few that might be a little overblown) and interesting thoughts. You can catch it on iPlayer for a while, I think. It’s been a while since I’ve read a poetry collection without interruption and All Those HungryMouths (US) made me glad that I decided to do so. I've picked a great day to review it, too, as you can pick up the kindle version for free just now (hurry - no time like the present). First of all, this book has an introduction that took me back to my own poetry writing heyday. A lot of what Keith Rawson says really resonated with me. Of course, the introduction wasn’t why I was there. I was hoping to be moved and shaken. Rather pleasingly I found that I was both. There are a range of styles and approaches on view here and the variety keeps things interesting from start to finish. Some of the work forms a narrative and there are also snapshots of moments or thoughts. As with any collection, not every poem hit the spot. There were, however, plenty that did and when they found the target they really hit hard. The runningtogetherwords of Two Very Stoned Cops is well worth the effort and the form isn’t gratuitous as it adds to the blurring image of the stoners inthemiddleofthewoodsintheirpatrolcars. Vocation and $25 are examples of the gentle dark humour that bubbles up from time to time, though It’s A Best Practice takes the medal in that arena for the most uncomfortably hilarious piece imaginable. My favourite is called Shotgun which has a real immediacy to it. Reminds me of some of those amazing and almost accidental life-affirming moments for which poems might well have been invented. I think that one’s perfectly stunning. There’s a little bit of angry-young-man in here, a dash or the romantic, a slice of the hedonist, a touch of the justice-seeker and shades of the crime-writer also. 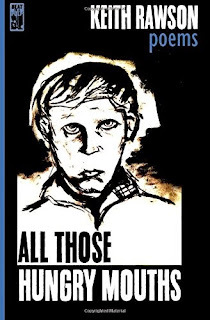 Overall, this is a satisfying and often moving book and, as if the poems weren’t enough, there are some cracking illustrations to enjoy along the way. Check it out whether you think you like poetry or not, you’ll definitely find something here to more than justify the entrance fee. It's the thirteenth of the month again. That can only mean another release from the Number Thirteen machine. Their latest, Redbone (US), is another treat for us all. Calvin G Redbone’s days all start the same way. About the most variety he finds is in the volume of bourbon he pours into his coffee or in the country tunes that play on his radio. Of course, as soon as we know that everything’s always the same, we also know that things are about to change forever. Redbone’s day is a disaster. It opens with the death of his best friend, Mister. If that weren’t enough to knock him off balance, he loses his job at the used car lot and there’s a guy sniffing around the old drive in cinema that Redbone holds so dear. It’s the kind of day that’s would to drive anyone to unravel a little. Unfortunately for Redbone, he’s wound tight. When he starts to crack there’s a huge power to the internal weight he’s been carrying about with him since his time in the army and there’s not much his external shell can do to contain it. He’s living in a world that seems to have lost touch with basic values and he’s about to make a stand. What makes this book work so well for me is the way Redbone accepts his situation. He knows what he has to do and why and that’s enough for him. He’s been a victim long enough and it’s time to take a stand. Even when those close to him try to warn him off his course and even when the world finally seems to give him a break, he sticks to it all the way and make sure he works things through to the very end. What he has to do is too important to think of himself only – it’s not just those who’ve offended him that he’s taking on, it’s the whole system. The conclusion seems inevitable, but the writer manages to keep up the tension throughout by leaving open the question of how far Redbone will take things until the very end. I found this a really good fit for me. 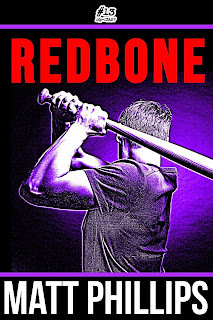 I like the way that Redbone interacts with the world and really enjoyed some of the interplay between him and the other characters on the trailer park, especially the luscious Marnie and the teenage football player Ricky Fife, who allow reminiscences and reflections which serve to intensify the material. In Redbone (US), the team at number thirteen have another winner on their hands. 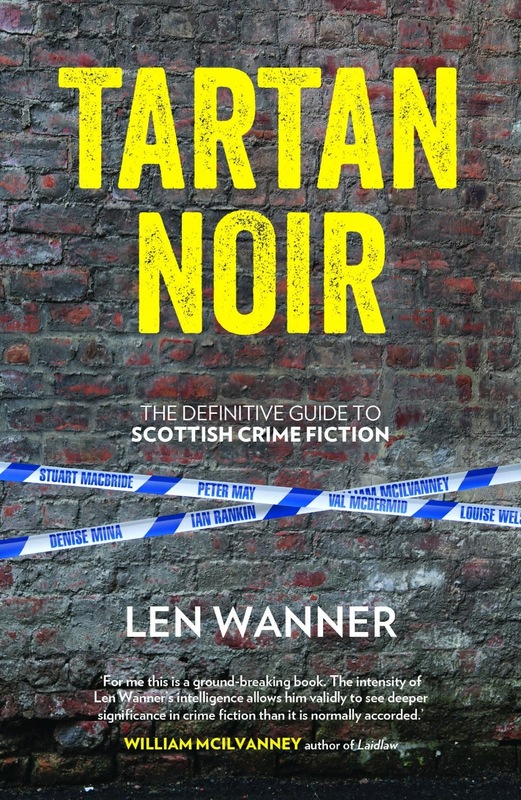 A comprehensive and fascinating guide to the worldwide crime fiction phenomenon known as Tartan Noir covering all its major authors. What is Tartan Noir? Which authors belong to this global crime fiction phenomenon? Which books should you read first, next, again, or not at all? And what are the many historical, political, and cultural influences that have woven themselves into the Tartan Noir success story? Here, Len Wanner investigates the literature’s four main sub-genres – the detective, the police, the serial killer, and the noir novel. Covering four decades’ worth of literary history, Wanner offers not only four in-depth cross-examinations but also close readings of another 40 novels – everything from commercial hits and critical triumphs to curiosity pieces and cult classics. Books critiqued include international bestsellers by the likes of Ian Rankin, William McIlvanney, Val McDermid, and Denise Mina, alongside lesser known gems by counter-cultural icons such as Hugh C. Rae, Ray Banks, Allan Guthrie, Helen FitzGerald, and many more. 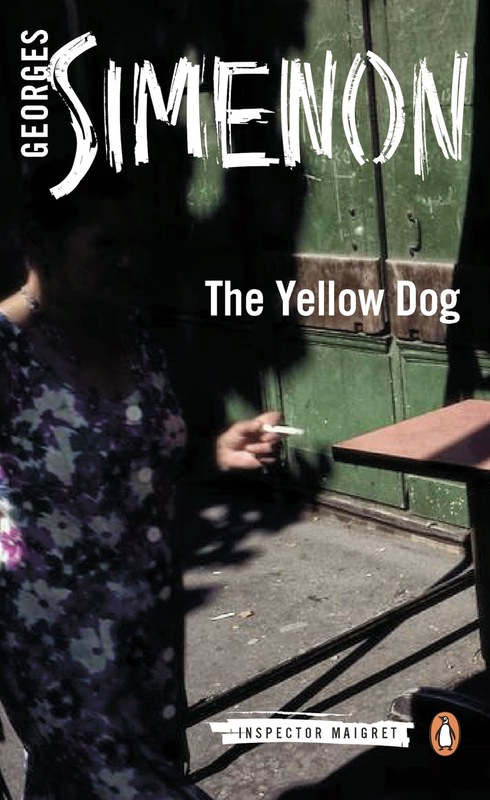 In The Yellow Dog (US), Superintendent Maigret is sent to investigate a shooting in a small coastal town in France. It’s not long before there are other crimes committed in the locality and they all centre upon a group of men who frequent the Admiral Hotel. Firstly, poison is discovered in the bottles of Pernod and Calvados which happen to be the tipples of the group in question. Later on one of the men vanishes, suspected killed, and another is found dead in his home. The chief suspect in this is a huge vagrant who has been seen lurking around the harbour. 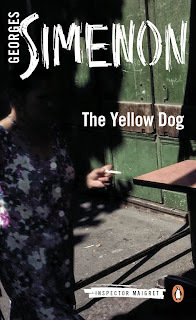 His main companion is a scruffy yellow dog who has a habit of being present at all of the main incidents. Maigret, of course, is undaunted by the developments that are taking place on his watch. He doesn’t mind the journalists who are hungry for stories and attempt to inflame the situation at every opportunity and he’s no respecter of the prominence of those who are putting pressure on him to solve the case, especially the mayor who is trying to keep the town in order. The superintendent goes about business in his quiet way. He forms relationships with those he instinctively feels are key characters. He takes note of the tiny little details that happen around him. He’s able to use his knowledge of people and of the behaviour of the various strata of society to put pieces together. He’s not beyond the unorthodox approach and he’s abrupt with anyone who gets in the way. In this book, he’s also working with a new policeman in his team, Inspector Leroy. Leroy is young enthusiast who is keen to do things by the book. Maigret is often rather aloof with Leroy and can be rather harsh, but he’s passing on the lessons of police work in ways that only he can and points out that there is no one approach to the investigation of crimes as each one has its own flavour. Maigret is hard and tough much of the time; he’s also warm and generous when the attention is off him – it’s a great mix. There’s plenty of action in this case and the plot is unfolded very nicely. It’s always engrossing and Simenon throws in plenty of surprises and red-herrings to keep a reader guessing. As much as the case itself, though, it’s the observation of human nature through the inspector’s filter that make this book such a treat. If you’ve not read a Maigret before, this would be a fine starting point. If you have, this is definitely worth a visit even if you’ve been here already.